Adults with autism can read complex emotions in others | Kenneth Roberson, Ph.D.
New research shows for the first time that adults with autism can recognise complex emotions such as regret and relief in others as easily as those without the condition. Psychologists at the University of Kent used eye-tracking technology to monitor participants as they read stories in which a character made a decision then experienced a positive or negative outcome. 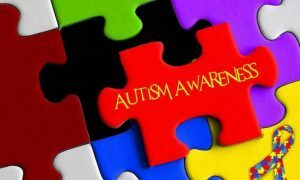 The lead author Professor Heather Ferguson, from the University’s School of Psychology, explained that the study highlights a previously overlooked strength in adults with ASD. The researchers found that adults with autism spectrum disorder (ASD) were quickly able to think about how things might have turned out differently (either better or worse than reality), then judge whether the story character would feel regret or relief (known as counterfactual emotions). The adults with ASD were found to be just as good at recognising regret emotions in the character as adults without the condition, and even better at computing relief. The eye-tracking method provided sensitive information on when readers had inferred the appropriate counterfactual emotion for the character. Appropriate emotions resulted in shorter reading times.